A warm welcome to ‘Truly Natural Photography’. My name is Nadia .I live in the quiet and friendly town Horley ,Surrey with my family and I breathe through photography.I use photography to communicate with the world and to create beauty,keep memories alive and tell stories as well as to inspire.My great ambition is to create beautiful images that commemorate, across generations, the people we love and the good times we have had . My style is relaxed and natural.I am using exclusively branded Nikon equipment, which delivers excellent results without failure. 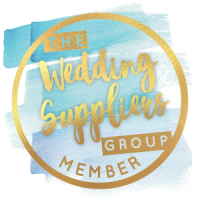 I have a Diploma from ‘ Photography Course London’ based in the most artistic London’s neighbourhood Shoreditch, and lots of passion for photography.As a member of the Wedding Suppliers Group UK I am bound to maintain high standards of the product and service I deliver to my clients . Truly Natural Photography is featured on B2B, Bridebook and Wedding Wire. I love to travel and to explore new places.My father gave me my first camera-Taxona, when I was 7 years old and I quickly became the family historian.He taught me how to manually meter and set up the aperture. The photos I took through the years have become my precious treasure taking me back to my childhood, keeping memories of some family celebrations and special moments. My recent photo journey started in 2013 when I created NV Travel Photography(now Truly Natural Photography) after coming back from mesmerising India.When I look at the images I feel that I travel in time and have the same experience I’ve had while exploring this lovely country.I remember the unique people I met,the beautiful places, the colours and even the sounds. 2018 was a good year for Truly Natural Photography and based on 5* reviews of my customers and fellow wedding inductry suppliers, I have been awarded a Silver Bridebook Wedding Awards 2019 Badge of Excellence.